We live in a rural parish, many people roam around the extensive green areas, children play games, families picnic, fruit pickers scour the hedgerows and dog owners walk their dogs. Nobody wants to tread or sit in dog mess, so common courtesy to others should make us all clean up after our dogs. However it is also the law. 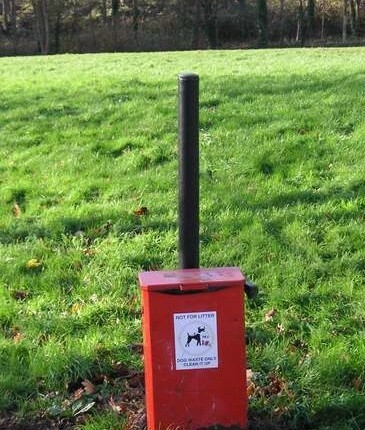 Milton Keynes Council has designated the whole of their administrative area under the Dogs (Fouling of Land) Act 1996 as a poop scoop area. If on the streets, paths or land designated under the 1996 Act and you don’t clear up after your dog, you may be issued with a fixed penalty notice of £50. If you don’t pay you may be taken to Court where you could pay a fine up to £1,000. It is in everyone’s interest that dog mess is not left where people might tread or sit in it. 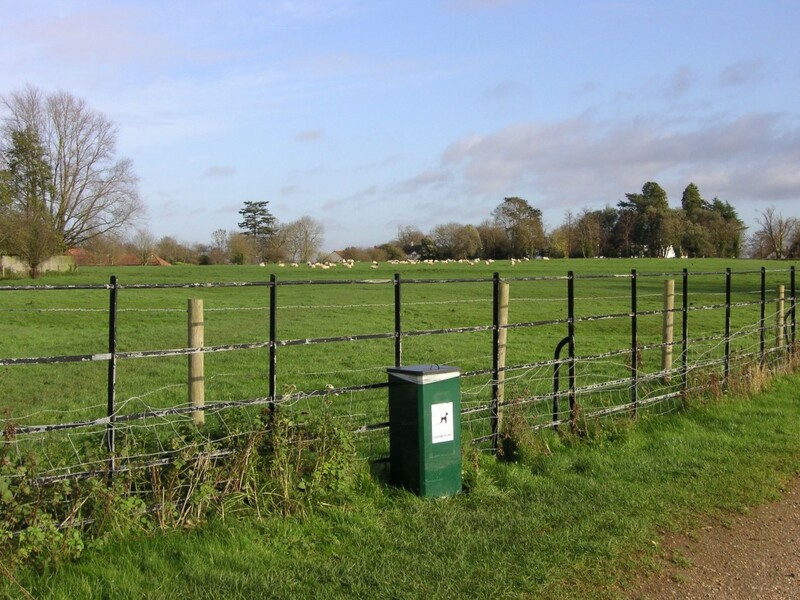 Old Woughton Parish Council provides the bins on the land within its jurisdiction. It is our responsibility to ensure they are maintained thoroughly and regularly. Please tell us, through the website portal, if you find one that is damaged or overfull. Some of our land is owned by Milton Keynes Borough Council and some owned by the Park’s Trust. As a Parish Council we work closely with these two bodies in the siting of bins, as underground utility equipment has to be avoided and no-one wants a dog bin right outside their house! Parish Council bins are red, Park’s Trust bins are usually green and usually maintained by the Park’s Trust. How are they serviced and when? What to do if there is no bin? If there are no bins around, take the scooped poop home, Milton Keynes Council Environmental Health Officers recommend that you wrap the poop bags in another plastic bag and dispose of it in your household waste black sack. 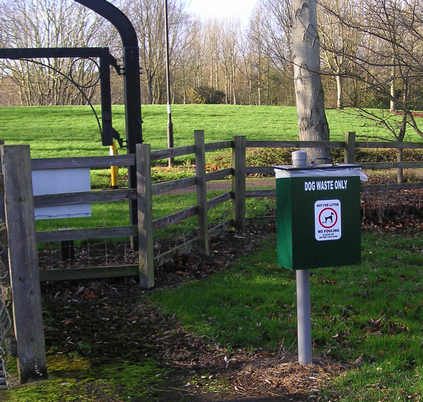 You can also use any public waste bin to deposit the poo bags, just double bag it and drop it in. From where do I get the bags? Old Woughton Parish covers a small geographical area and your council tries to restrict its expenses to those costs that will directly benefit many of its residents. To that end we have no office and therefore no readily available storage. If you require disposal bags, they are obtainable from many supermarkets,chemists and pet shops. You can also obtain “poop scoops” from pet shops. As a Parish Council, we monitor the efficiency of all our bins by obtaining an annual report from the contractor. 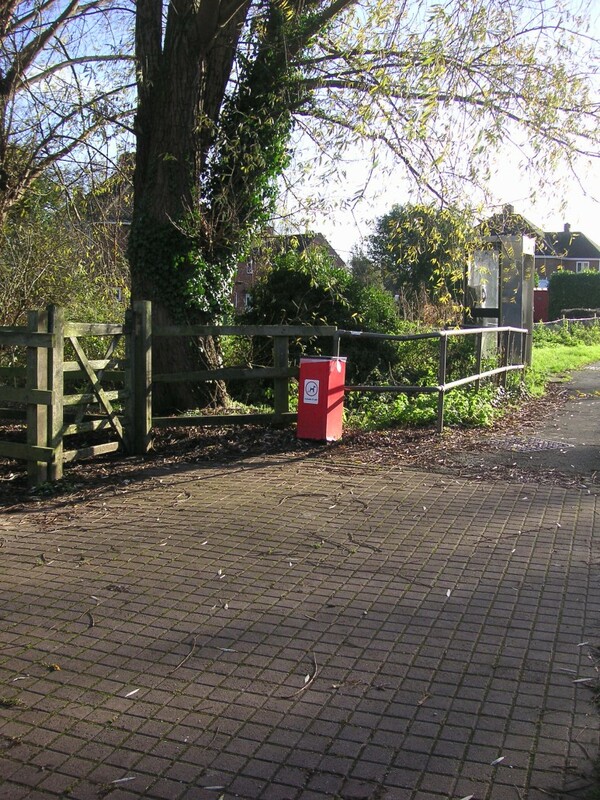 If we find a particular bin is consistently empty, then we re-site it by a more frequently used path. Similarly, if we find a pile of poo bags deposited on the ground, we will consider placing a bin in the vicinity. We are always open to comments, suggestions and requests from our parishioners, so do contact us either by email to the clerk or through this web site. There are regulations which sometimes prevent us from meeting your requests, but we will do our best. 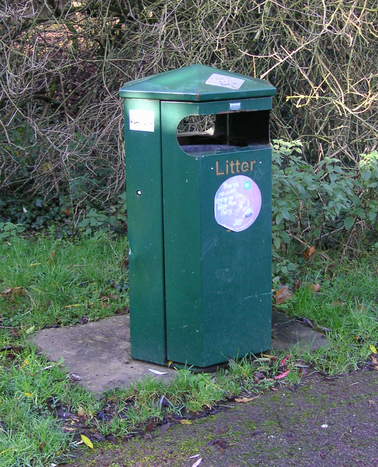 There is one litter bin within the parish, placed just to the East of the bridge over the canal between Woughton Park and the green area near Passmore. Locally this bridge is known as “The Iron Bridge”, it is actually Bridge 90B. You may place double bagged dog poo in this bin also.